Rich Roser's outstanding season came to an end on Saturday. Roser was beaten by eventual 3rd place finisher Jimmy Lawson of Manchester in the wrestleback semifinals of the Region 6 Tournament. Roser ends the season with a record of 27-9 and championships in the Holmdel Christmas Tournament and the District 22 Tournament. 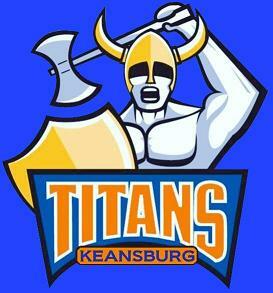 His District title was also the fourth in Keansburg history and first since 2004. Congratulations to Rich on a great year! 2/23: Roser Wins District Title! Senior Rich Roser decisioned Keyport's Greg Velasco in the heavyweight finals to become to the 4th wrester in Keansburg history to win a District title and the first since Matt Rosner in 2004. With the win, Roser advances to Friday Night's quarterfinal round of the Region 6 Tournament. 152: Mike Nelan (K) d. Chris Remedios 11-6. 140: Justin Malloy Malloy (Key) p. Dennis Blozen 1:34.